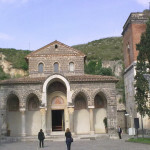 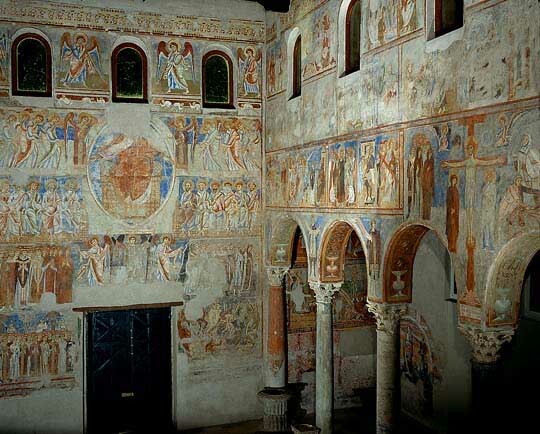 Sant’Angelo in Formis is an abbey, dedicated to St. Michael Archangel, located on the western slopes of Mount Tifata, in the municipality of Capua. 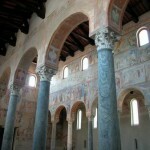 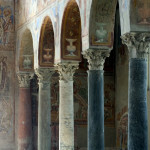 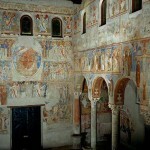 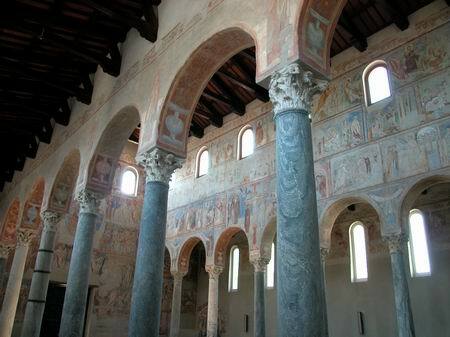 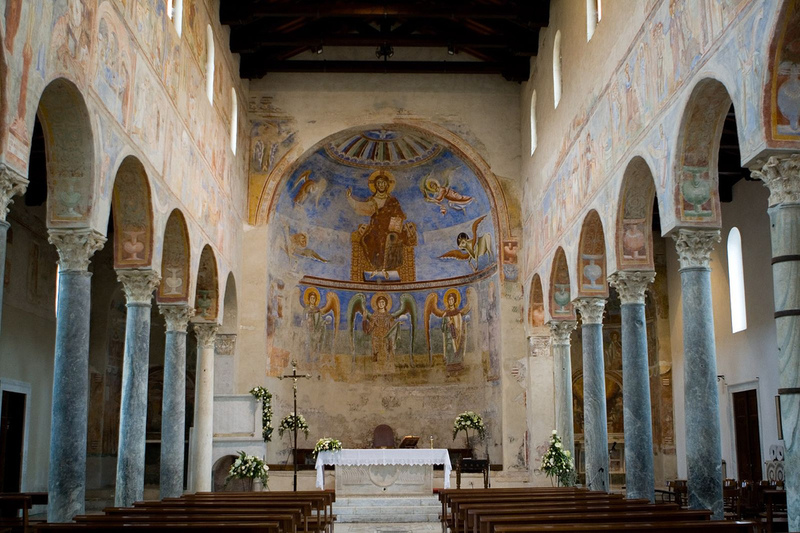 It is famous for its magnificent bizantine frescoes. 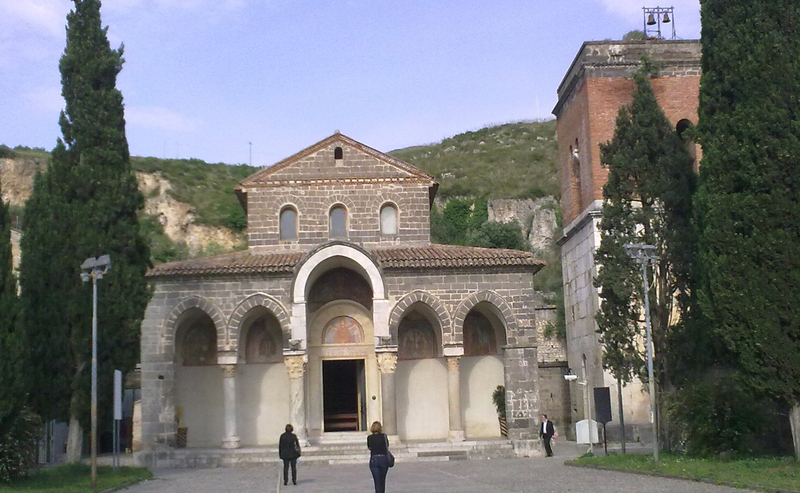 It was built in the 6th century AD (Longobard period) on the remains of a roman temple dedicated to the goddess Diana Tifatina. 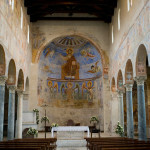 The church was rebuilt in the XII century. 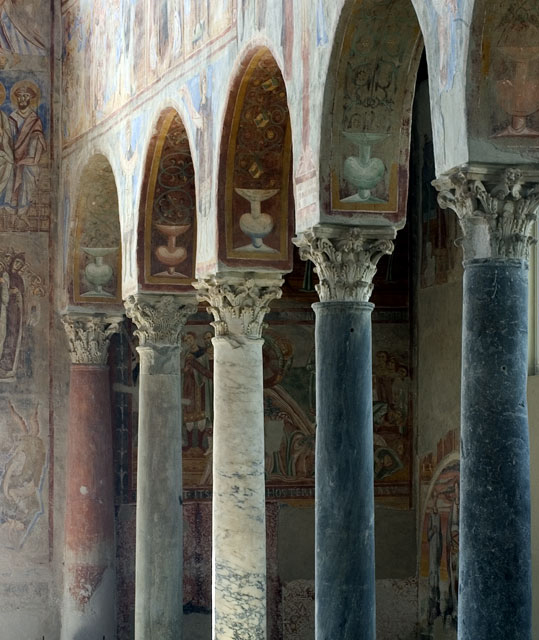 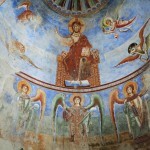 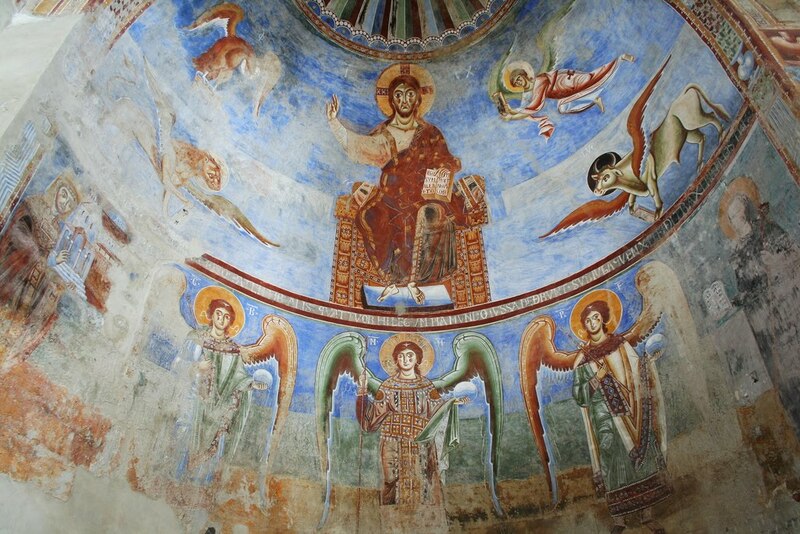 In this period there is the addition of decorations and frescoes by Byzantine artistes hired from Constantinople.